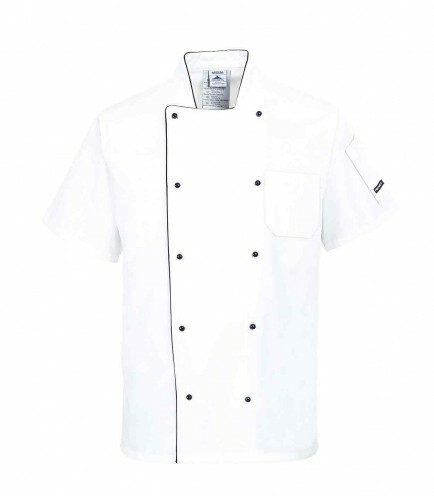 A cooling and comfortable Chef's Jacket from Portwest. 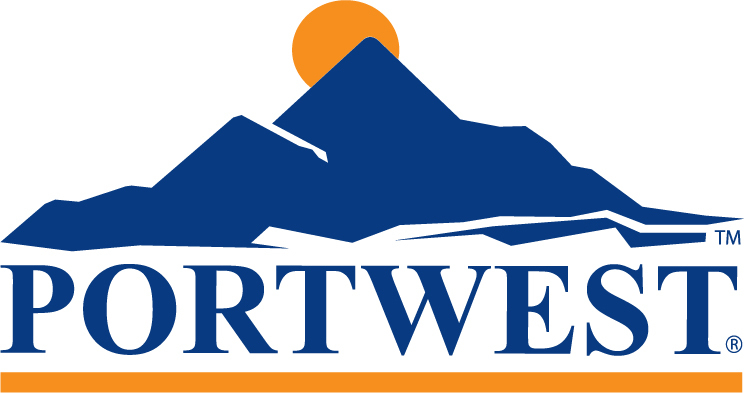 When you're feeling the heat in the kitchen the Portwest C676 provides the ideal solution. Featuring an aerated mesh section at the back for breathability and comfort, this jacket came out on top for breathability when put to the test in kitchens. Details include stylish contrast piping, chest and sleeve pockets along with button tape all add to the overall style of this garment. Made from Portwest's highly performing Cotton Rich fabric with Anti-Crease finish. Cotton Rich 245g 60% cotton, 40% polyester. Back 100% polyester mesh fabric 110g.